You may think you know all about Oreos, but there's a new cookie in town. 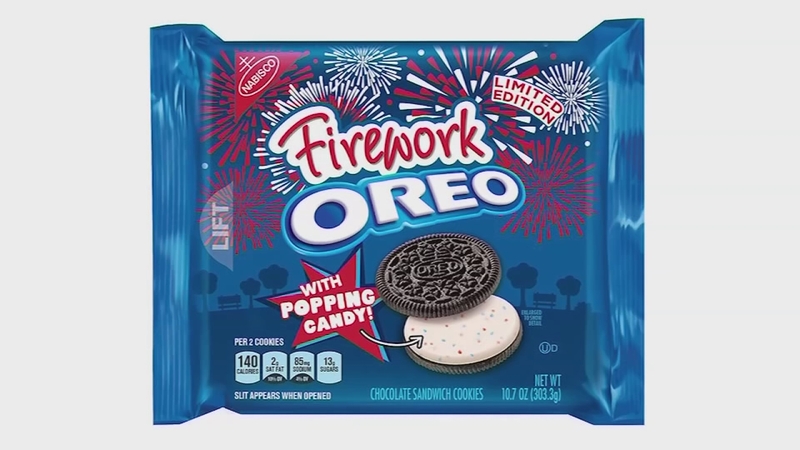 The 'Firework Oreo' started lighting up the shelves Monday. It has the familiar chocolate wafers on the outside, but the cream inside includes red and blue popping candies (like Pop Rocks). It's a nod to the July 4th and only available for a limited time. Now, Oreo is asking fans what its next creation should be. The grand prize winner gets $500,000 in cash! Enter by using the #MyOreoCreation and #Contest on social media. The contest runs through July 14th.